After the family returned from church, Ken began to tell his grandson that Jesus rising from the dead "may not necessarily be true" and that scientists think the Big Bang created the universe. He argued it was important to teach his grandson humanism and give him another viewpoint to balance the teachings from the church. The character was later seen in the pub saying he believed "children should be told the truth" and that Christianity was comforting because "that's how they get their hooks into you, when you're vulnerable". 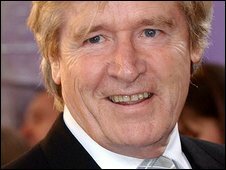 Viewers also complained on ITV's message boards that Ken Barlow's comments were "completely unacceptable" and "inappropriate" to be shown on Easter Sunday. One user wrote: "To choose this script on the most holy day in the Christian calendar is insulting and greatly offensive." In defending its decision to air the episode, ITV said: "At the moment we have a very positive story involving Sophie Webster and her new found interest in religion, Emily Bishop has also always been seen as a very positive representation of Christianity. "Likewise Ken Barlow's different views on religion have always been a strong aspect of his character." Ofcom said it would be looking into the complaints.